A paper orchestra, the robotical orchestra of paper of Pierre Bastien is presented until March 13th 2016 in Nantes at Lieu unique for the exhibition on Les machines célibataires. It was assembled by Collection Morel around the notion of bachelor machines with pieces from Michel Carrouges & Jean-Louis Couturier, Marcel Duchamp, Glen Baxter, KP Brehmer; the figures of Raymond Roussel, Francis Picabia, Norah Borges, the shadow of Enrique Vila-Matas and the participation of Eduardo Berti. 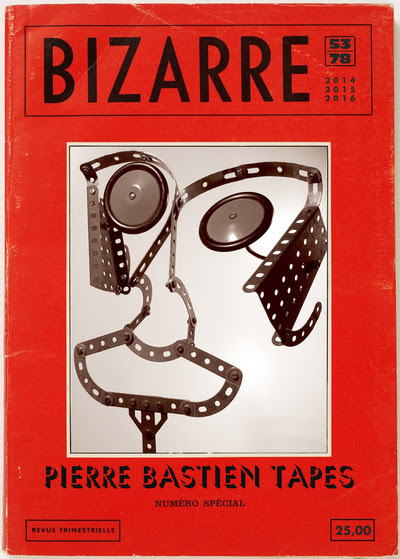 Within this library at mulitple dimensions where paper is presented as well as the notion on multiple forms, are also presented some foundations of Pierre Bastien tapes, as archives or creations.